In the past, Samsung has been known for having a top of the line phone on the hardware end, but has always lacked on the design and feel. 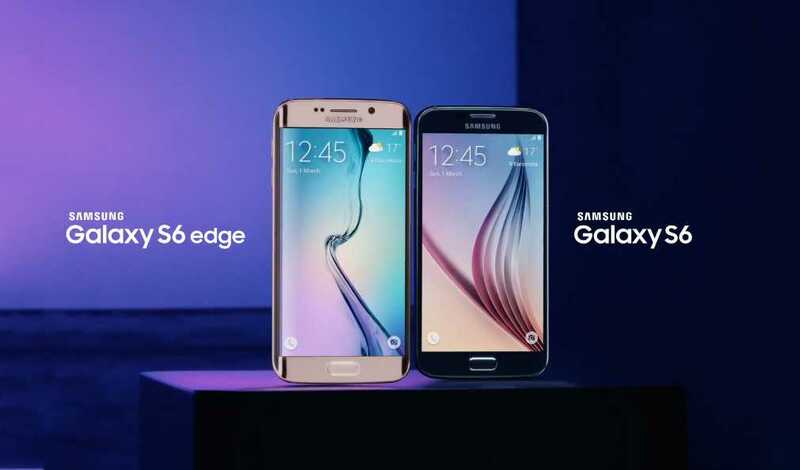 They erased all of that yesterday when they announced the Samsung Galaxy S6 and Galaxy S6 Edge. The Samsung Galaxy S6 features an eight-core Exynos processor, 3GB of RAM, 16 megapixel camera, and a 5.1” Super AMOLED display. The Galaxy S6 will come in 32, 64, and 128Gb variants in 4 different colors including white, black, blue, and gold. The S6 and S6 Edge will also feature a similar touch-to-unlock home button similar to the one on the Galaxy S5, but you’ll no longer need to slowly swipe your finger to unlock. Now you can just tap your finger on the home button to unlock similar to Apple’s Touch ID. Samsung also did away with the cheap removable backing and replaced it with Gorilla Glass. It’s evident that Samsung put design and quality first, and leaned less on gimmicky features like being semi-waterproof when making the S6. Samsung has also decided to offer higher storage options and remove the option for a micro-SD slot or removable battery. Both the Galaxy S6 and S6 Edge will ship with Android 5.0 Lollipop with Samsung’s unique touch-wiz overlay. In order to give users a more stock android feel, Samsung also decided to cutback on the amount of “bloatware” or useless apps that come with TouchWiz. The Galaxy S6 Edge, a brand new device from Samsung, will feature the same powerhouse specs as the S6, but will have a slightly different screen. The S6 Edge will have a slightly curved screen on both edges of the phone rather than the flat screen on the S6. Samsung has also announced a new mobile payment system called “Samsung Pay”, it’s not a very original name, but it’s a name nonetheless. Similar to Apple Pay, it will work with NFC enabled tap-to-pay systems, but will supposedly also work with standard credit card swiping systems as well. Samsung says that it’s payment system will be accepted by 90% of retailers and will be cooperative with MasterCard, Visa, American Express, Bank of America, CitiBank, JPMorgan Chase, and U.S. Bank. Samsung will not be releasing Samsung Pay immediately, but will likely be available within the next couple of months. During the Galaxy keynote, Samsung also showed off a new version of its Gear VR headset that will work with both the Samsung Galaxy S6 and S6 Edge. What do you think about the Samsung Galaxy S6 and S6 Edge!? Let me know below!